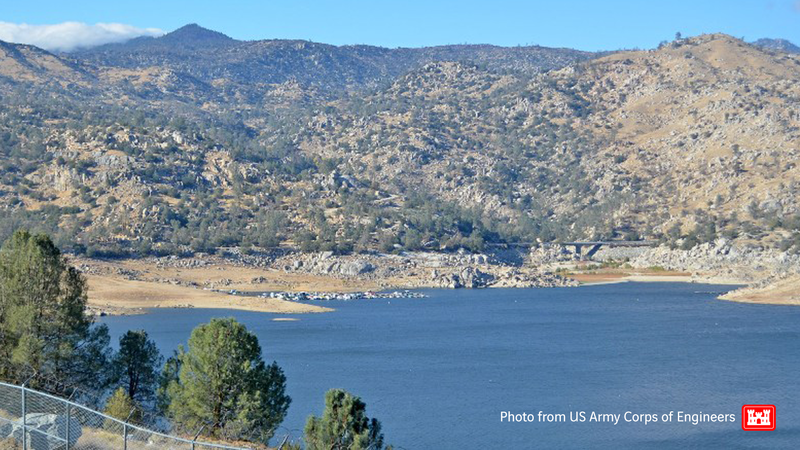 Pittsburgh-based geotechnical engineering, construction and general contracting firm Nicholson Construction Company was recently awarded the anchor contract for Flatiron/Dragados/Sukut Joint Venture’s (FDS JV) safety modification project at Lake Isabella Dam. The 66-year old dam, located in Kern County, California, consists of a main dam and an auxiliary dam across Kern River and Hot Springs Valley, respectively. The goal of the $204 million project is to address overtopping, seismic and seepage issues to reduce the likelihood of dam failure. The Lake Isabella Dam Safety Modification Project consists of major improvements to enhance the structural capability of the existing dam and increase public safety, as well as restore water storage capacity in Lake Isabella by raising both the main dam and auxiliary dam by 16 feet. Nicholson’s work entails the installation of 535 emergency spillway pattern rock anchors, 100 spot bolt rock anchors, 80 pattern and spot drains, and 828 labyrinth weir foundation slab anchors. Phase two work on the main and auxiliary dams started April 2018 and is scheduled to be completed in 2022. Nicholson’s work is scheduled to be completed January 2020.